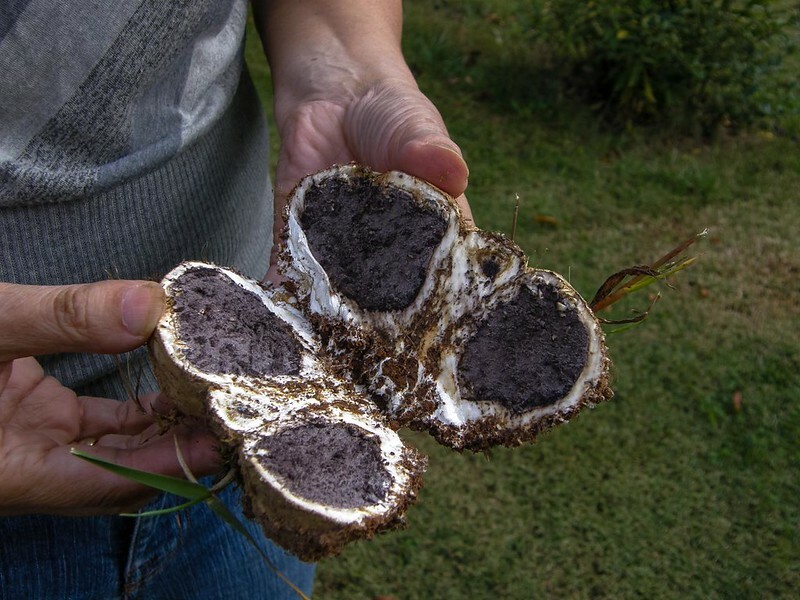 What Do Truffles Taste Like - Your Truffles Mystery Solved! That is what truffles can cause. When talking about fine dining and exquisite indulgence you can’t but mention truffles. I can hear someone “never heard of it”. Don’t bother; we are about to unravel the mystery behind this little but mighty fungus. If you are a regular chef, you should have heard about this delicate ingredient at one point or the other and trust me it is not delicate for nothing. 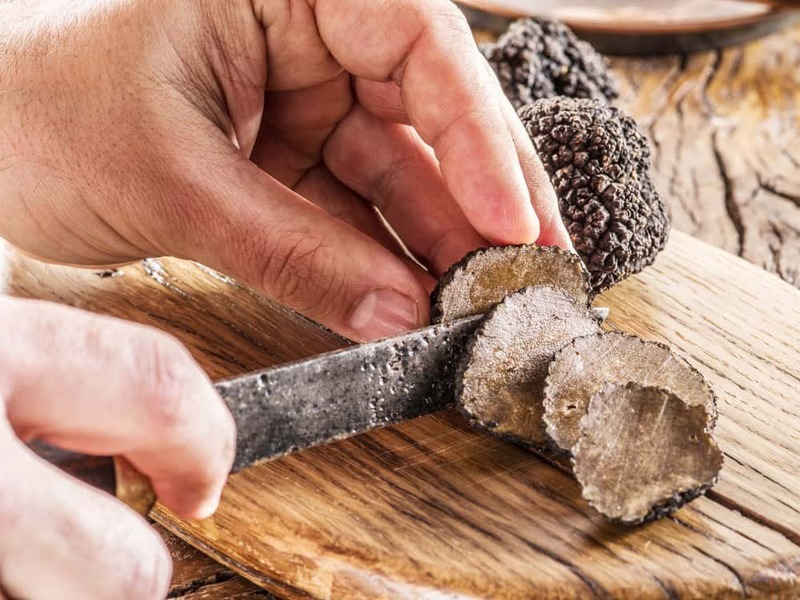 Like caviar, truffles aren’t for everyday patronage, unless of course, you can afford it every day, but they are definitely worth every bite. Truffles are a kind of mushroom which is hard to find and rare to come by, they are usually grown deep beneath trees, and in some scarce occasions, they are located close to the surface of the earth. There are many different kinds of species, over 25 of them with each having their own adaptations and similarities. Truffles survive through a form of cohabitation process between them and some trees such as oak and hazel. They live under trees supplying them nutrients gotten from the soil in exchange for valuable nutrients which is needed for their growth. To get full yield from truffles, it usually takes about 10 to 20 years in total, and that contributes to what makes them so scarce. Because of their strong smell, some animals such as pigs enjoy digging them up, and humans do so as well. So we all know how the history of some food and delicacies can sound goofy or doubtful at times but true or not, we tell them anyway. History has it that truffles became a known treat when a certain farmer took his pig for a walk and noticed it digging the ground and uncovering truffles which the pig ate afterward. When these happened a number of times, the farmer decided to try them for himself and found truffles particularly interesting and extraordinary. Soon after, truffles were widely consumed around the town and by people even far away with some attaching supernatural beliefs to it. In some places; truffles were seen as sacred and were kept or used for the treatment of ailments and eaten on only special occasions. In the early 80’s, as much as 2000 tons of truffles could be harvested at a go, this is because of the abundance of the trees with which truffles could thrive, over the years, the abundance of truffles have significantly depleted with the availability ranging between a few hundred tons at a time. Aside from Europe, Africa, and America also grow truffles commercially with the most priced being the French and Italian truffles. A lot of people have the impression that truffles actually mean chocolate truffles, but that is a wrong notion. The term “chocolate truffle” is merely given a kind of chocolate snack because of its dark brown resemblance to the actual fungus truffles! Chocolate truffles just as the name implies are intentionally made to emulate the look and shape of truffles. 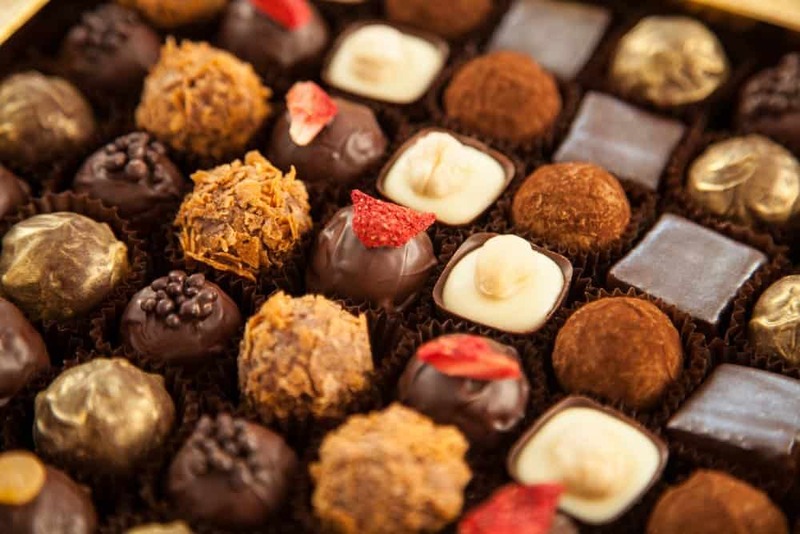 For those chocolatiers who still practice the initial mode of making chocolate truffles, cocoa powder is sprinkled lightly over the body of the chocolate; this is to signify the dirt found on a truffle upon harvesting. So when next you see some layers of chocolate tagged “chocolate truffles” prepare your mind for a chocolate treat and nothing more. Although some rodents find false truffles appealing, it will be worth noting that some of them are poisonous to humans which make them dangerous as they can easily be mistaken for the real thing. So how do you at least try to differentiate them? First, take a look at false truffles from the skin; some of them look like potatoes unlike the irregular shape truffles have. Another way to observe is to sniff it; false truffles lack the true appealing smell that real truffles have. Lastly, you can slice through it, when you find anything inside a supposed truffle other than the thick marbled interior, then it might just be false. Even with all the many flavours found in the world today, none have been able to best match the description and the taste of ruffles. What does this mean in essence? Truffles have a distinct taste which is very uncommon and is peculiar to these mushrooms alone. One thing though that stands out in its taste is its earthy feel. Truffles have a taste of earth and in some cases a hint of mushroom and oil as well. It also has an organic garlic hint to it. When you spend so much money to get a small piece of truffle in your hand, you can’t waste it on a dish you wouldn’t enjoy. 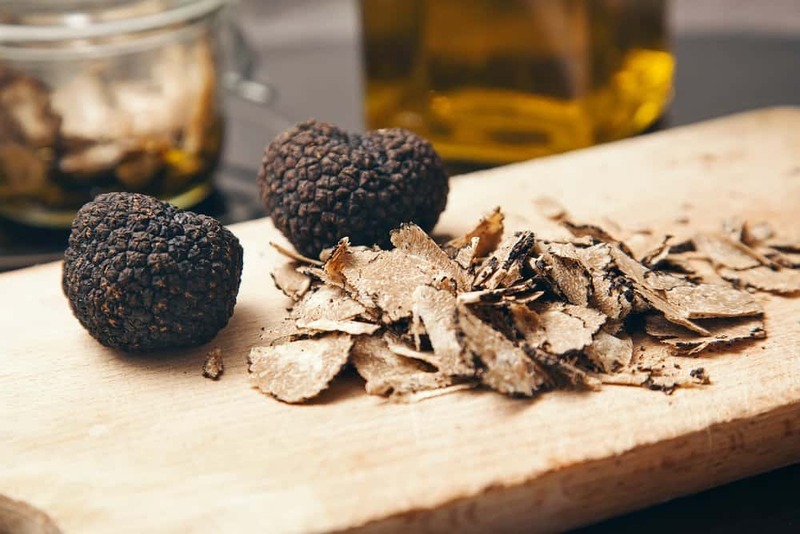 So to get a beginners feel of what a meal with truffle should taste like, try this simple recipe by Cygnet Kitchen and if you get the truffle oil instead, use this recipe by Simply Delicious. One thing you should avoid altogether is overdoing it with the truffles; they have a strong tendency to overpower any dish which is a good thing because it makes it more economical that way. Truffles lose their flavours quickly with time so you should look for creative ways to preserve them if you intend keeping them for a while before usage. Ever had a meal with truffles not chocolate truffles in it? Please send in a message and let me know, this tasty fungus still has me curious and your information is always more than appreciated. My first, and last, experience of eating truffle was in a yogurt! It was in a supermarket, the truffle was in tiny pieces, in one section of the packet, which you opened and added to the yogurt section of the packet. The aroma of the truffle was pungent to the point of a weird earthy perfume, a sweet aspect to it, which I did not particularly like. So, although I have not had fresh truffle, the experience has put me off trying it! Am I the only person in the world who doesn’t like truffles?